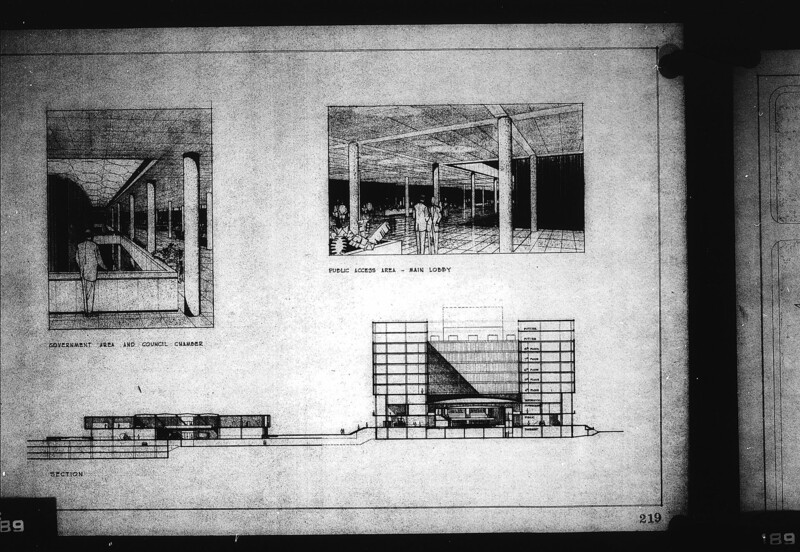 3 architectural drawings on 1 sheet, Competition entry 219, City Hall and Square Competition, Toronto, 1958, by David Horne of Toronto,Canada. Perspective drawing of public gallery and Council Chamber, and the main lobby. Section of hall and structure in square. This entry was a finalist. 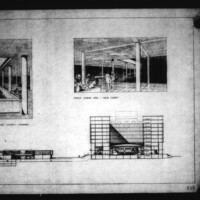 Horne, David Ernest, 1929-2007, “David Horne entry City Hall and Square Competition, Toronto, 1958, section drawing and perspective drawing of council chamber and main lobby,” TPL Virtual Exhibits, accessed April 19, 2019, http://omeka.tplcs.ca/virtual-exhibits/items/show/1132.